DISCOVER PURE JOY AT LUCKY NUMBER 7! OPEN THIS SATURDAY 19TH [email protected]:30PM! You’ll never believe what lies beyond the unassuming garage roller door at the front of this incredible property. This is the true definition of a hidden treasure! 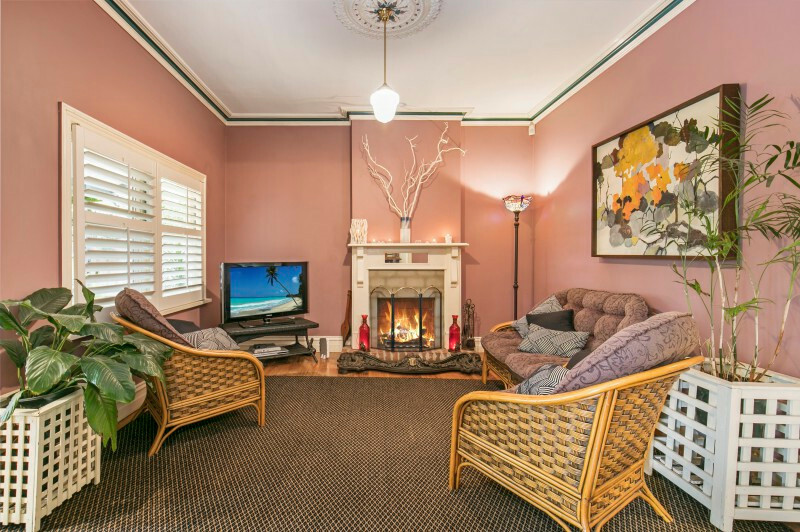 The period charm of one of Frankston’s original homes (circa 1920s) on a large 563sqm (approx.) block await new owners in central Joy Street. It’s a 4-bedroom plus study family sanctuary with alluring garden surrounds, offering timeless style with modern comforts. An inviting tone is set from the moment you step beyond the carport and into the private haven offered by this property. Walk through the paved carport, under the verandah, and to the stained glass feature front door, where you’ll be transported to another era filled with character as you step into the house. A sense of space unmatched by any modern house is the first thing you’ll notice. With 9-foot ceilings and every room oversized, you’ll revel in the scope on offer. The house has stunningly presented interiors, polished floorboards, feature lights, ducted heating and period detailing throughout. The first room to the right is a spacious dining area, with double doors leading onto a covered deck and the delightful secluded front garden, filled with an abundance of lush green trees and plants. Opposite is a formal lounge with OFP and ornate ceiling. From here, walk into the open plan kitchen and living room, bathed in natural light, with a large study on the right hand side. The classic dark timber and laminate kitchen has multiple benches and power points, a dishwasher, breakfast bar and storage space in abundance. Through to the back section of the house you’ll find a generously sized tiled laundry with direct access to the garden, and the carpeted bedroom zone, which boasts three huge bedrooms for the kids (each with BIRs), and a period-style family bathroom with shower over bath. One bedroom features an in-ceiling ladder, giving access to attic storage that covers much of the roof cavity and has lighting and floorboards. Prepare yourself for the jewel in the crown at the end of the hallway – a vast master bedroom/parent’s retreat with gorgeous bay window seat, WIR, air conditioning and ensuite bathroom with double basins. You won’t find this in many places! Outdoors is a world of discovery and opportunity. There are established plants and lawns, high fences and a shed in the backyard, plus spots for potential veggie gardens or more formal garden beds depending on your desires. 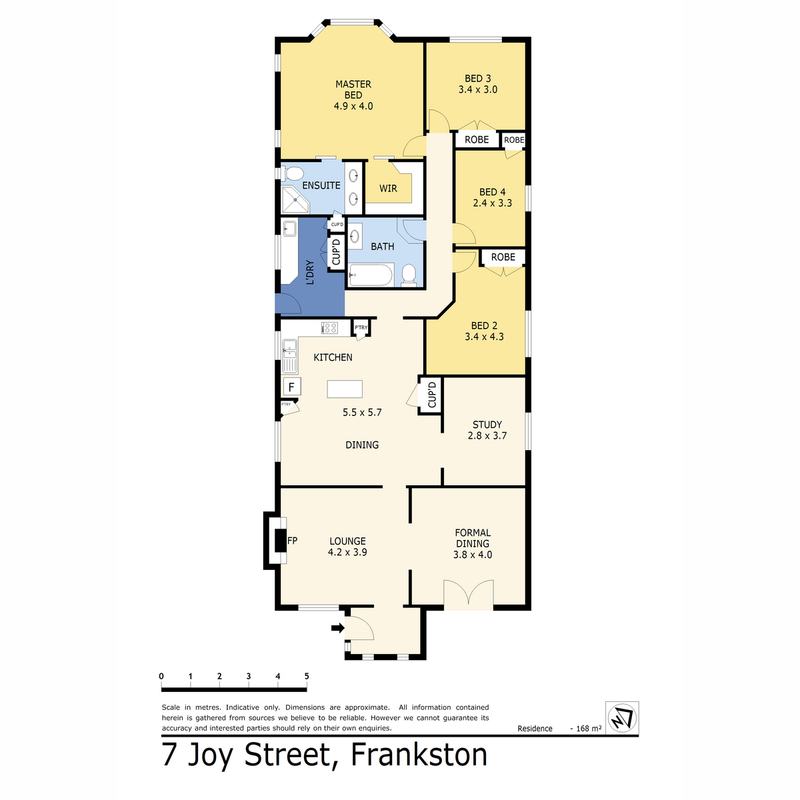 The home is perfect for young families, being just footsteps from a civic hub with the Maternal Health Centre, Joy Street Kindergarten, a playground and thriving Community Garden. 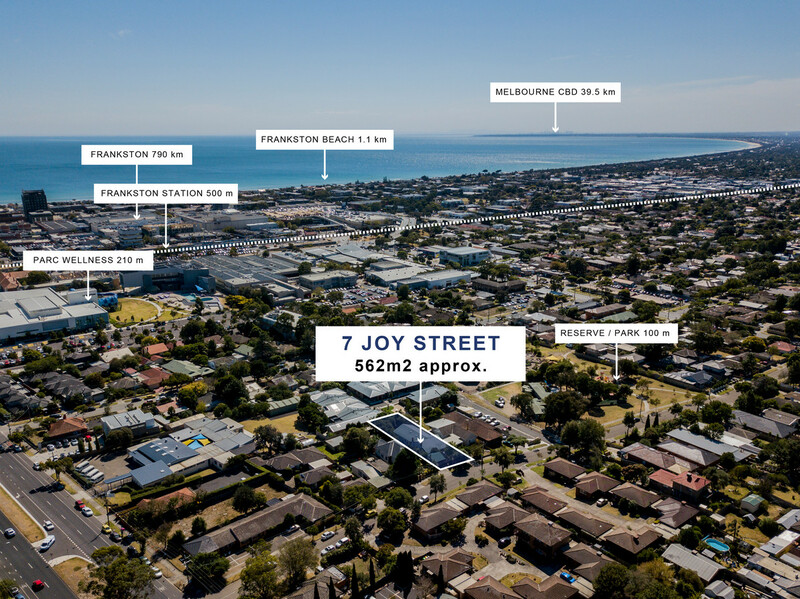 It’s a sought-after area within walking distance to Peninsula Aquatic and Recreation Centre (PARC), Beach Street shops, and the Frankston skate park, with Bayside Shopping Centre, the Library, Frankston Beach, Monash University (Peninsula Campus), Frankston Hospital, and Frankston Arts Centre and Frankston train station a stone’s throw away. All it will take is one inspection and you’ll fall in love!